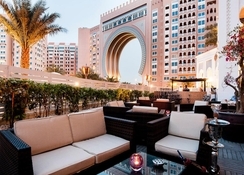 Mövenpick Ibn Battuta Gate Hotel Dubai is a 5-star hotel with modern rooms and suites, restaurants, bars, lounges, rooftop swimming pool, gymnasium and spa. The hotel is located just a walk away from the Ibn Battuta Shopping Mall and also provides an easy access to the Dubai Metro. 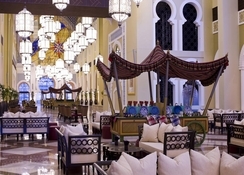 With eight bars, restaurants and lounges this spectacular hotel serves its guests delectable cuisine from India, Arabia China and the Mediterranean. Here, you can maintain your fitness level in the gym, relax at the rooftop swimming pool and enjoy the best massages and beauty treatments at the Safar Spa. The hotel also provides complementary beach access to its guests and at the same time children can have fun in the Little Birds Club. 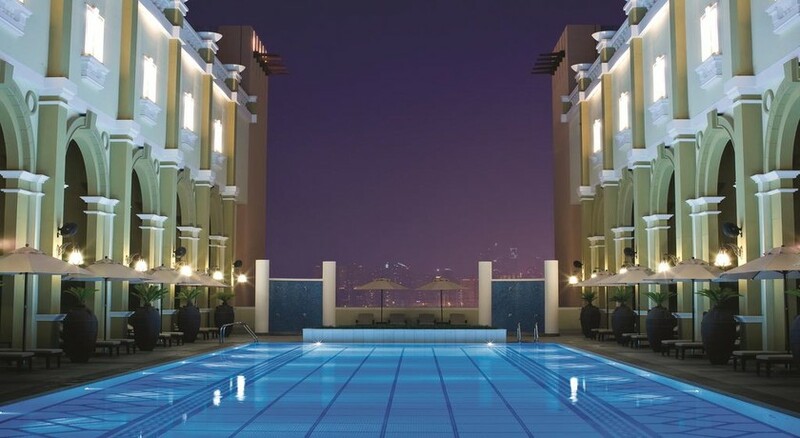 Located around 38km away from the Dubai International Airport, Mövenpick Ibn Battuta Gate Hotel Dubai is an apt place to spend a relaxing holiday. If you are a shopaholic, then this will be a very exciting stay for you, as the Ibn Battuta Shopping Mall is only 1.5km away from the hotel. Dubai Metro, Dubai Marina Mall and Marina Beach are a few places near to the hotel. 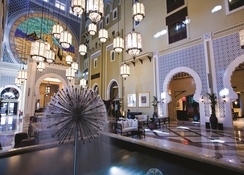 Mövenpick Ibn Battuta Gate Hotel Dubai features 396 rooms and suites with free Wi-Fi, 40-inch HD LCD television, tea and coffee making machine, separate bathtub and shower. Certain suites are themed around the various destinations of the world such as Russia, China, India, Egypt, etc., and are called the Battuta Suites. Royal Suite offers a luxurious living experience with access to the executive lounge. 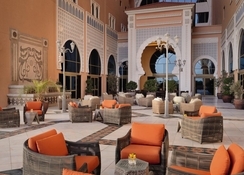 There are seven restaurants at Mövenpick Ibn Battuta Gate Hotel Dubai namely Al Bahou, Sicilia, Chor Bazaar, Moroc Lounge & Bar, Executive Lounge, Shanghai Chic and Mistral. The Al Bahou serves some culinary extravaganzas, Sicilia specializes in Italian dishes, Indian cuisine can be enjoyed at the Chor Bazaar, Shanghai Chic offers Asian cuisine and Mistral is an all-day dining featuring live culinary stations. For refreshing drinks, you can go to the Moroc Lounge & Bar, Executive Lounge, Marina Beach Bar, Majilis and Olive Tree. There is a spa and a wellness club offering relaxing massages, anti-jetlag therapies and facials. There is a rooftop swimming pool, if you wish to enjoy a dip in the water. 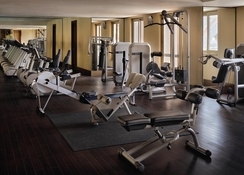 Guests can maintain their fitness level in the gym, which has high-tech equipment. Hit the hotel’s night club to enjoy electro music while sipping on some refreshing drinks. 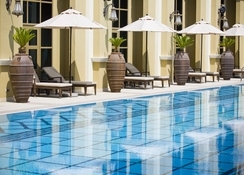 The hotel also offers easy access to most of the malls and other places of attraction in the city.